The Southern Elephant Seal is one of the two extant types of elephant seals. 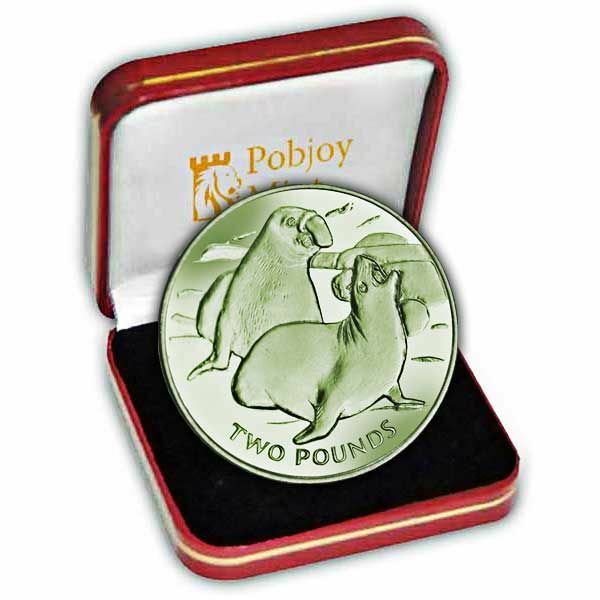 It is both the largest pinniped and member of the order Carnivora living today, along with the largest Antarctic seal. The seal gets its name from its terrific size and the big proboscis of the adult males, which is used to make extraordinarily loud roaring noises, particularly throughout the breeding season. Instantly recognisable by the large, inflatable proboscis, the male southern elephant seal is the biggest seal in its household. They have the ability to propel themselves rapidly (as fast as 8 km/h (5.0 miles per hour)) in this method for short-distance travel, to go back to water, to catch up with a female, or to chase after a trespasser. 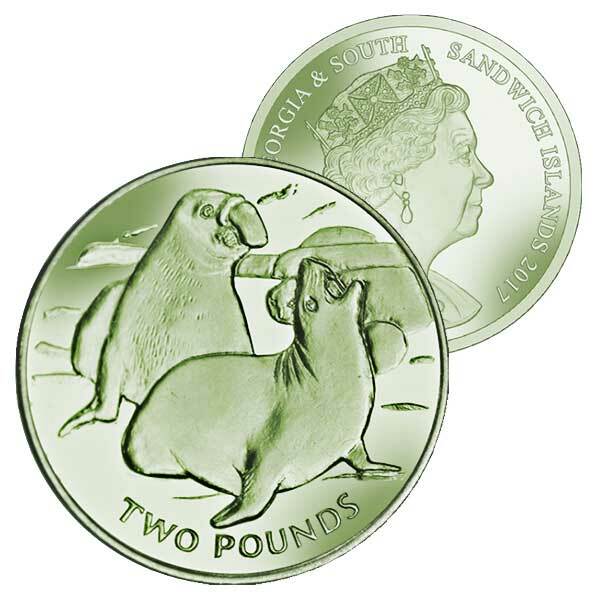 This New 2017 coin illustrates a male and female Elephant Seal while resting on a beach, which is one of the most popular places to discover any elephant seals in the South Georgia and South Sandwich Islands. The largest subpopulation remains in the South Atlantic, with more than 400,000 people, consisting of about 113,000 breeding females on South Georgia; the other reproducing colonies of the Atlantic subpopulation lie on the Falkland Islands and Valdes Peninsula in Argentina (the only continental reproducing population). Due to the trouble of striking Titanium coins and that Titanium responds in a different way with every strike, each Titanium coin is technically unique from all others. There is likewise a lined result that exists on the coins which is unique to this metal.